What if Carol Burnett popped by your home to share some laughs? That’s just what happened at Daylesford Crossing! Read all about our 'brush with Greatness' in Savvy Main Line. 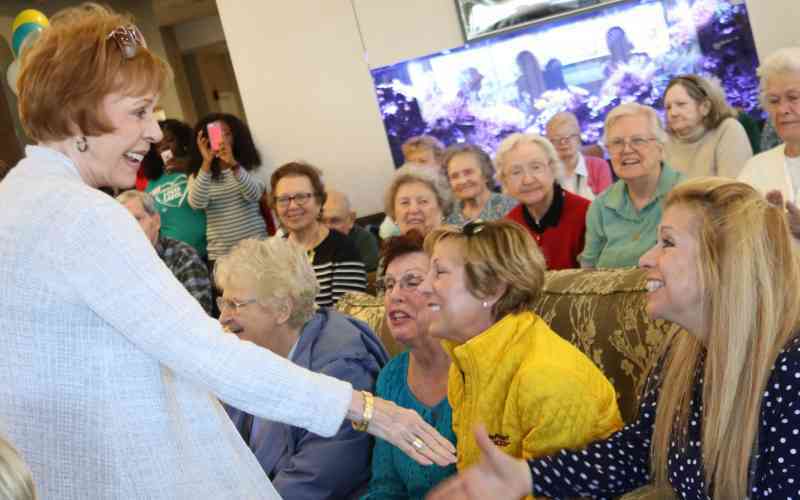 In March, knowing Carol Burnett would be in town for an April performance at the Academy of Music, our residents and staff recorded a video asking her to stop by Daylesford Crossing. We did it mostly for fun (and because we all love Carol), not really thinking that we’d receive a visit. So, we were floored when her manager told us that Ms. Burnett enjoyed the video and would take us up on our invitation! From the moment she walked through the door until she bid us “so long,” she was every bit as vivacious and gracious as the Carol Burnett you see on stage and screen as she shook hands, took questions, and told stories. Thank you, Carol! We'll be talking about this for a long, long time!